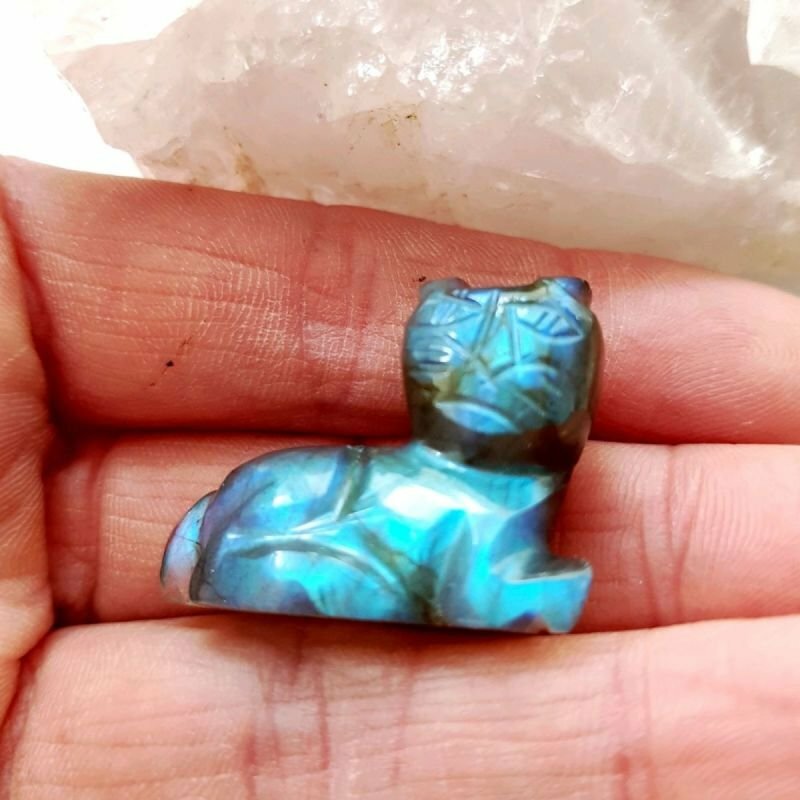 This is a beautiful cat carved from magical labradorite! This cat has the most beautiful blue flash as you can see from the picture. This cat measures approximately 1.0" by 1.0"
A unique little gift for someone special.